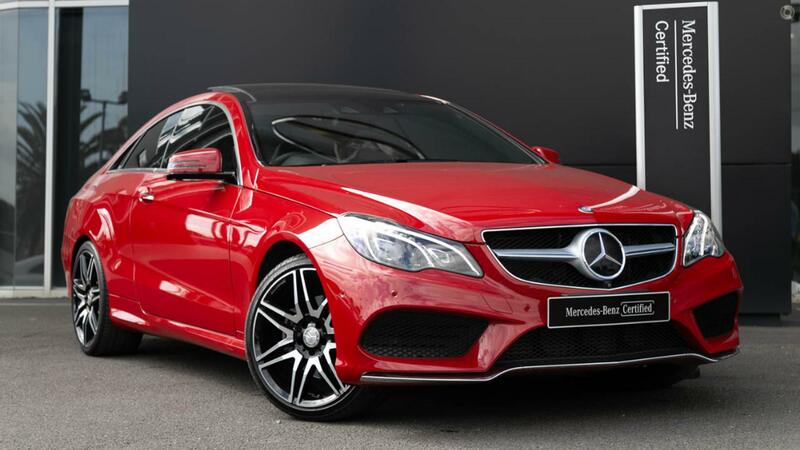 Australia's Most Awarded Mercedes-Benz Retailer proudly presents this absolutely gorgeous, extraordinarily low-kilometre Certified E250 AMG Sports Package PLUS pillar-less Coupe. Stunning in Fire Opal Red trimmed in Anthracite Leather with contrasting topstitching in red, riding on 19-inch AMG 7-twin spoke alloy wheels painted in high-gloss black with high-sheen finish and featuring the full suite of options and packages including AMG Sport Package PLUS, Vision Package, Comfort Package and Driving Assistance Package PLUS. Take the wheel of your stunning AMG Sports Package PLUS Coupe with absolute confidence - ONLY from a Certified Mercedes-Benz expert and the reigning "Mercedes-Benz Metropolitan Retailer of the Year" again, for the 5th time in 6 years!